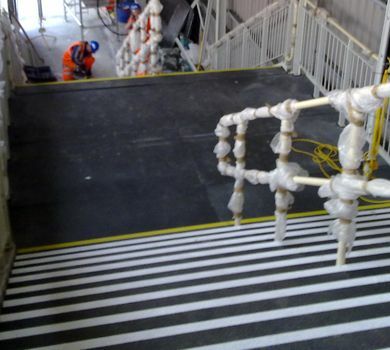 At GripClad, we provide non-slip flooring solutions for rail platforms and stairs. Railway stations are dangerous places at the best of times. 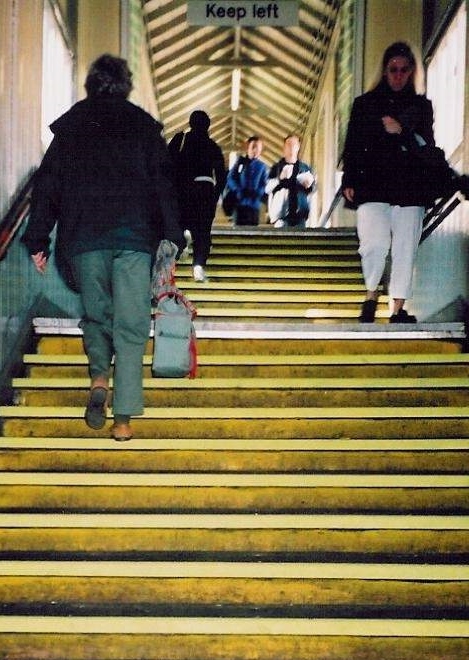 As well as minding the gap and staying behind the yellow line because a train is rushing past, the heavy commuter foot traffic can take a toll on stairs and walkways, making them a slipping hazard. Britons make over 1 billion passenger train journeys a year and that figure is on the increase. Waterloo, the UK's busiest station, gets over 94 million visits a year. With so many people commuting to work every day or using the train to take a vacation, train stations need to be safe for everyone. 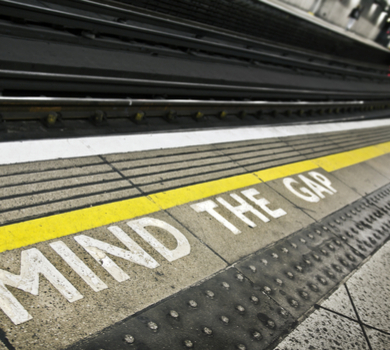 With so many stations in the UK, train line companies also need a safety solution that meets the needs of such high traffic areas, while remaining cost effective. Our anti-slip safety panels and cleats are a simple solution that provide a safe environment across all access areas. Every step and path around the station can be made safe and secure with these non-slip panels. There are also a variety of methods to make them stand out. GripClad anti-slip panels are resistant to heeled shoes, weather and chemicals. 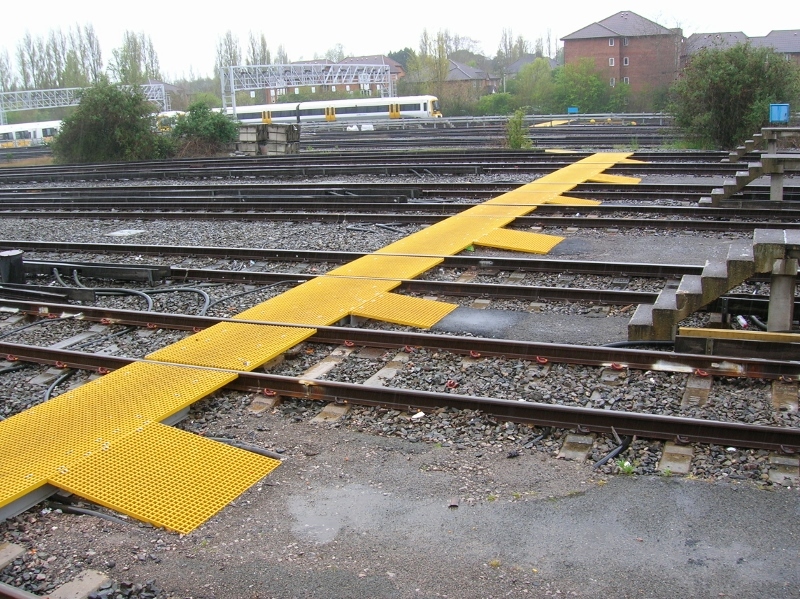 They are an affordable, non-slip safety product for train stations, that have been proven to excel over other methods. Installed as part of your station's health and safety precautions, the panels can help avoid slip accidents and potential liability claims. Our anti-slip stair tread covers and stair nosings can be fitted in minutes and walked on immediately, providing little or no downtime and with an immediate positive safety enhancement. Hard wearing and resistant to all weathers and high levels of foot traffic, our anti-slip stair tread covers and nosings are ideal for both external and internal stairs and are available in a wide range of colours and sizes. We aim to meet your specific requirements providing you with tailor-made, cost effective solutions to everyday slip and trip hazards. 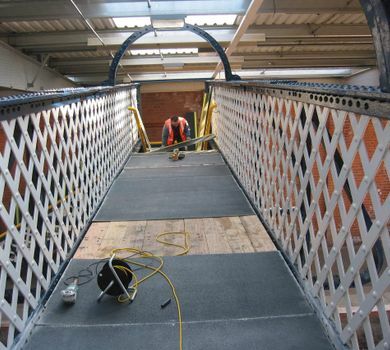 An alternative to anti-slip panels, GRP gratings are another cost-effective and versatile solution for railway station footbridges and walkways. Available as GRP square moulded open mesh, minimesh and pultruded gratings, their reliability and durability means they are long lasting and maintenance free. They are perfect for areas susceptible to water, such as open air walkways and bridges around railways stations affected by rainfall. Platforms are by far one of the most hazardous areas of railway stations for pedestrians if the correct solutions are not in place. Our tactile pavers are compliant with the Equality Act 2010, warning visually impaired users of hazards ahead. For instance, our corduroy pavers and can be used to warn visitors to the station that the edge of a platform is ahead, with additional anti slip properties. Our commercial GRP handrails offer the ideal additional support for pedestrians crossing railways bridges and using stairs in the station. Made up of 70% fibreglass, these corrosion resistant handrails can withstand the harshest of environments. They are perfect for high footfall commuter traffic, withstanding the consistent knocks of suitcases, bikes and bags. Easy-to-install and cost-effective, GRP handrails are maintenance free and outperform traditional galvanised steel. 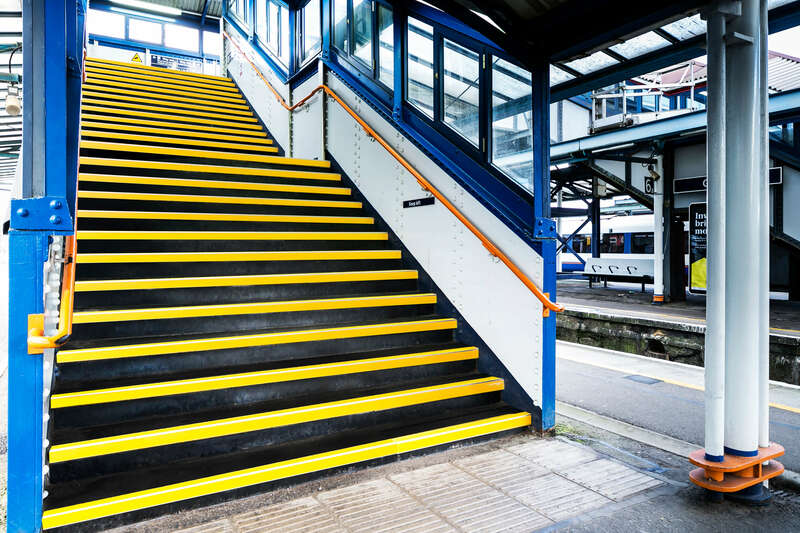 GripClad anti slip solutions provide a safe walking surface on platforms, station steps and walkways, providing comprehensive security to commuters all year round, no matter the weather. Slips, trips and falls make up 47% of all railway platform accidents. We understand the needs of the rail industry especially the volume of foot traffic and the impact that has on flooring and stairs. We needed a heavy duty anti-slip solution that could stand up to the punishment of daily foot pounding and impact. "Gripclad's product suited that bill perfectly."